Addie Miller volunteered for National Make a Difference Day. DELAWARE – TEGNA Inc. (NYSE: TGNA), together with its Make A Difference Day (MDDAY) partners Arby’s Foundation and Points of Light, announced National and All Star award winners from across the country who are being honored for fostering local volunteerism and having a positive impact in their communities. Connections Volunteer Center (Connections) was named an All Star winner, which is selected from projects that have previously won a National MDDAY award, and will receive a $10,000 grant from the TEGNA Foundation. Thirteen National award winners each receive a $10,000 grant from Arby’s Foundation. The grants allow honorees to support a charity related to their MDDAY project and to continue to make a difference in their community. Connections won the MDDay national award in 2015, which qualified the organization to be considered for the All Star Award – reserved for the best of the best. This year’s event included more than 400 volunteers who visited 53 homes of senior homeowners in Delaware County. Volunteers completed much-needed outdoor chores, including leaf raking, window washing, garden clean up, hedge trimming and more all in an effort to help older adults maintain their independence and pride in their homes. Not only did volunteers serve older adults at their homes, older adult volunteers took on leadership roles in the local projects throughout the day. Additionally, this year’s event expanded by adding a launch site in Sunbury, OH — the eastern part of the county. Founded in 1996, Connections coordinates the referral and placement of volunteers for more than 70 different agencies who offer more than 200 volunteer opportunities. In the past year, Connections matched over 1,300 volunteers who engaged in nearly 20,000 hours of service to the community. A program of HelpLine, Connections core services are partially funded by United Way of Delaware County and SourcePoint. Make A Difference Day is made possible by the employees of TEGNA with support from partners Arby’s Foundation and Points of Light. For more information, visit www.MakeADifferenceDay.com and follow #MDDAY on social media. Find a full list of winners at http://www.makeadifferenceday.com/awards/2017-award-winners/. 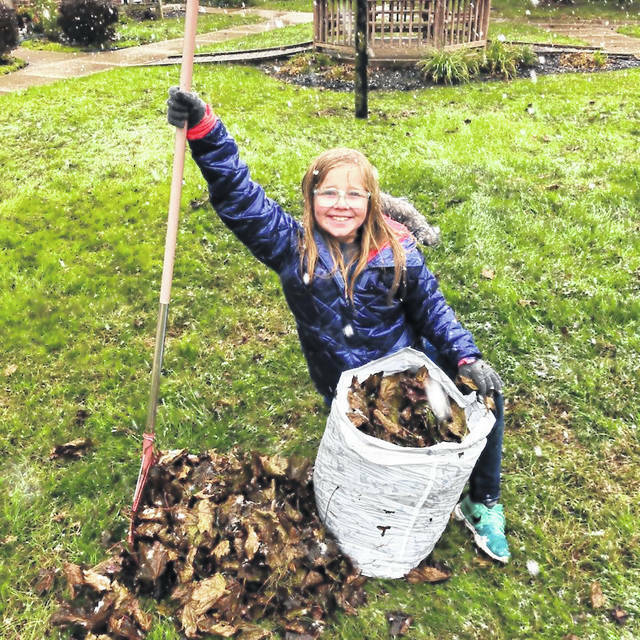 https://www.sunburynews.com/wp-content/uploads/sites/48/2018/07/web1_Addie-Miller.jpgAddie Miller volunteered for National Make a Difference Day.